Life is so stupid. 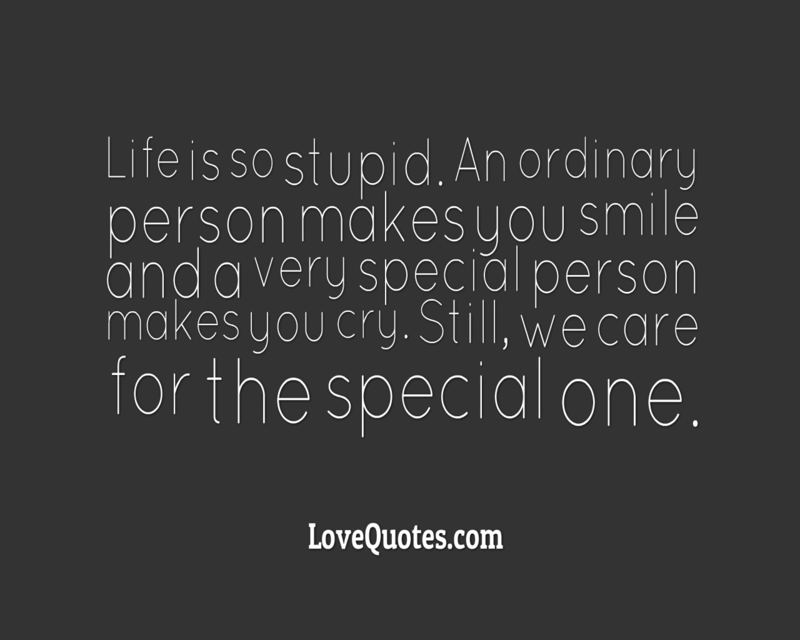 An ordinary person makes you smile and a very special person makes you cry. Still, we care for the special one.